Bute Consulting provide a vital service to businesses looking to improve how they operate. They can reveal to you what type of employee/ technology is needed to take your company to the next level. Bute Consulting needed a site that perfectly reflects what they are able to do for their clients. 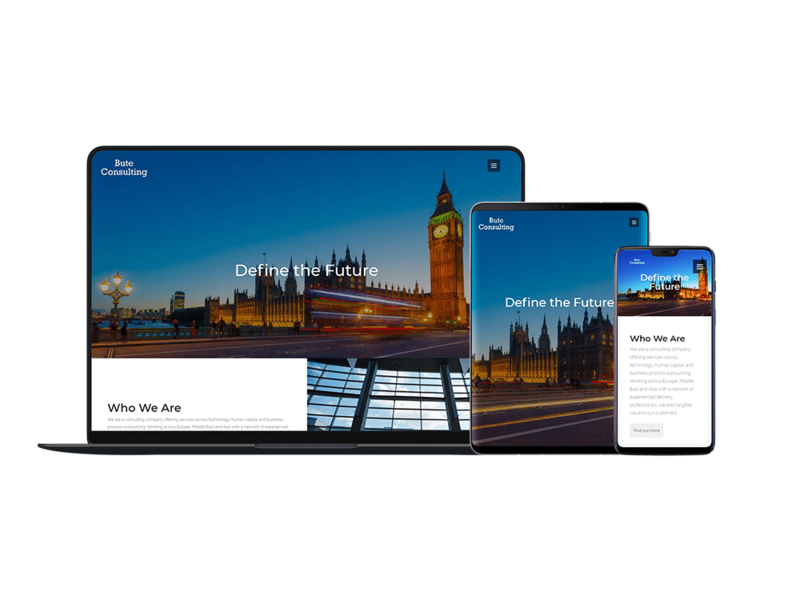 Due to the cutting-edge services Bute Consulting provide, we knew that they needed a website that not only looked professional, but also looked modern and sleek. We planned to convey this using professional stock images and stylish typefaces. Primitive Online have provided Bute Consulting with an online selling point which allows clients to get in contact with them as easily as possible. Their website professionally conveys all the vital information needed for a potential client to start working with them. A client whose website we were developing once came to us requesting 2000 products to be implemented onto his Amazon account. After going through the overly long and complex process of achieving this, we were inspired to come up with our own system. This system should not just make ecommerce activities such as this easier, but also allow you to them on all of the various selling platforms from the one system. 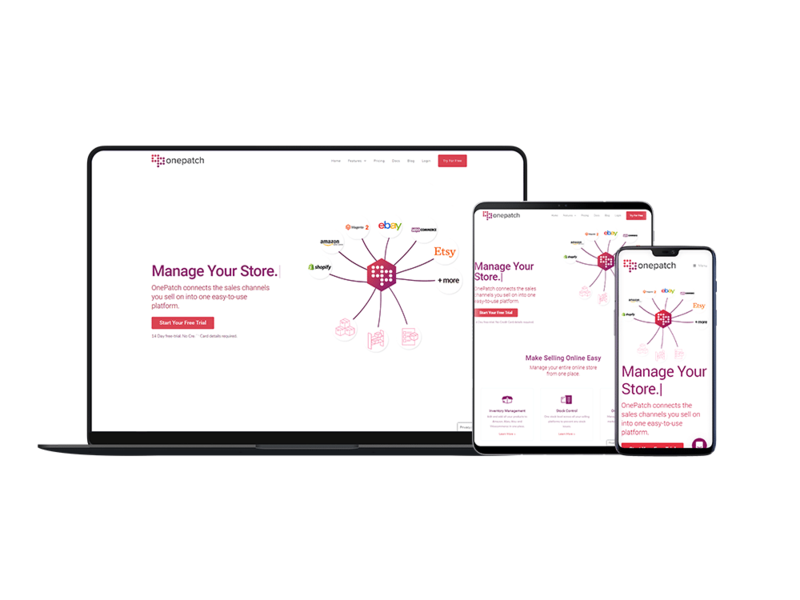 OnePatch multi-channel ecommerce software was created as a result of this. Each user gets their own super simple dashboard. From this they can not only import their full inventory and stock in minutes but also integrates with several selling channels just as quickly. This will make life significantly easier for any online retailer who uses it. It will drastically cut the time and effort spent completing tasks such as importing inventory. The most attractive feature however will be the ability to perform these tasks on all of your various different selling outlets from the one secure system. Primestaff's website was looking outdated and had a poor user experience. With the online world growing exponentially they desperately required a leap into the modern world. A modern method of matching employers to those seeking employment and a better experience was needed for users. Primitive Online would provide a modern, high quality, simplistic website for both employers and candidates. We knew it would require a large database of employers and candidates, and that this could get very bloated so knew we would have to focus on load speeds and optimization. As a result, it is now far easier for Primestaff clients to do the search process when looking to fill a job vacancy. They will be able to access a database in which details of each registered potential employee’s desired details can be analysed. This will cut an organisation’s recruitment process drastically whilst remaining accurate. 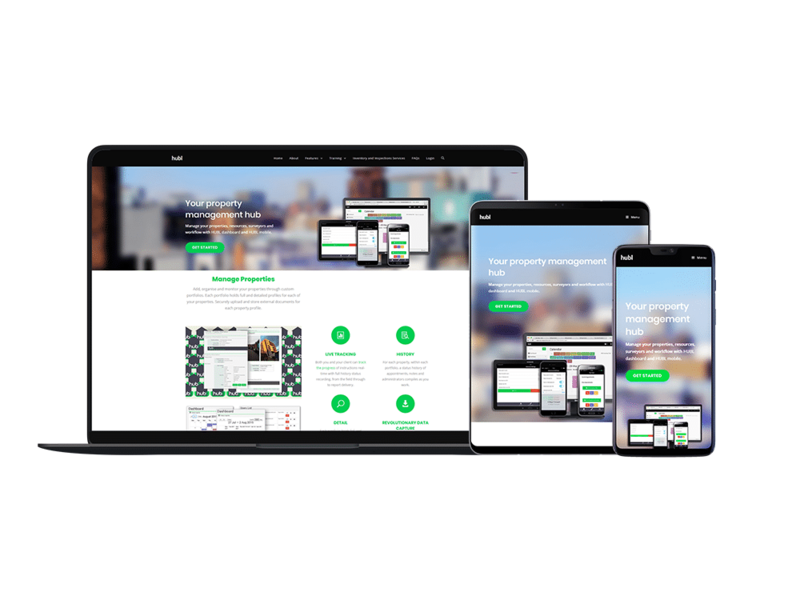 Primestaff now have a sleek, responsive website that is built to last. One challenge faced by all landlords is keeping an accurate record of the inventory in all their properties. Furniture, cutlery, paintings, keeping track of so many items can be a constant headache. And yet this is a vital aspect of efficient rental property maintenance for landlords who want to provide a high quality service. This is where Hubl’s software comes into play. With a super simple dashboard that allows landlords to record their entire inventory, its location and condition, with a simple click. The app enables our innovative landlord software to be accessed and updated from anywhere with an internet connection. The Hubl app will significantly reduce the average landlord’s workload. They will be able to create a digital inventory of their entire property portfolio with minimum effort, which is then accessible at the touch of a button. This will give them time for what really matters, such as renovating ad modernizing their portfolio. Click below, give us some details and let's chat!